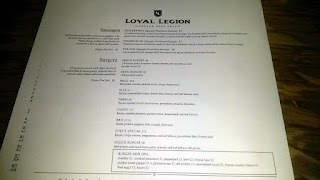 Loyal Legion is located at the corner of SE 6th and Alder in Portland, Oregon. 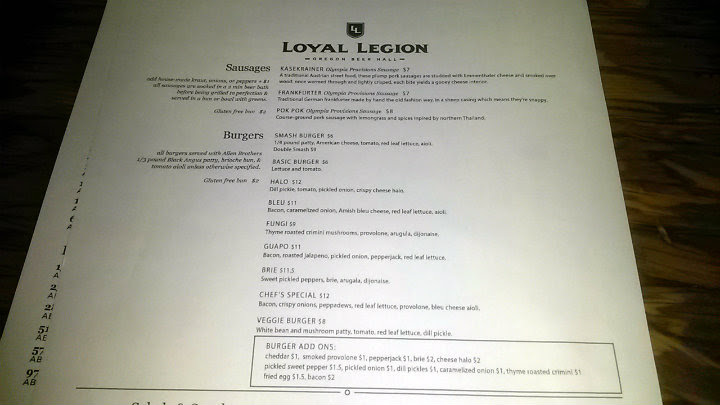 Loyal Legion opened in July 2015, their opening initially delayed by a few days to get their OLCC permit. Yes, they have 99 taps, but not all taps are used. 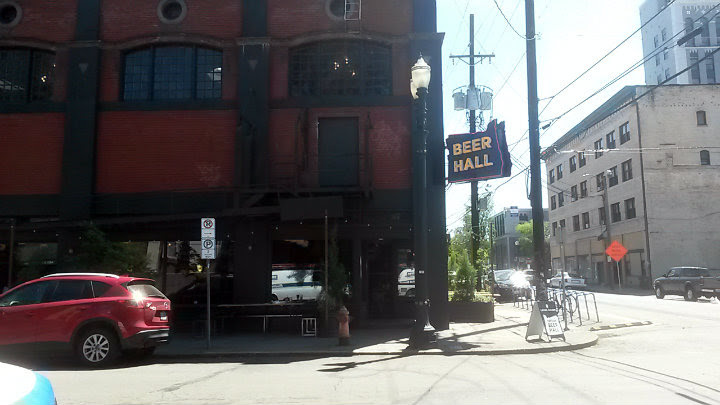 They have enough taps to serve the beers they want and have the room to still do a tap takeover or other event. 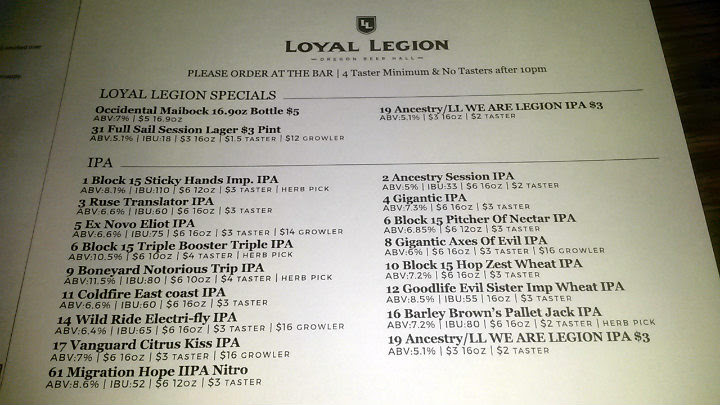 They probably will have a good 50 beers on tap at any one time. 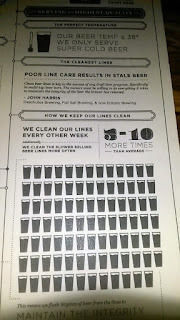 They clean their tap lines every other week. 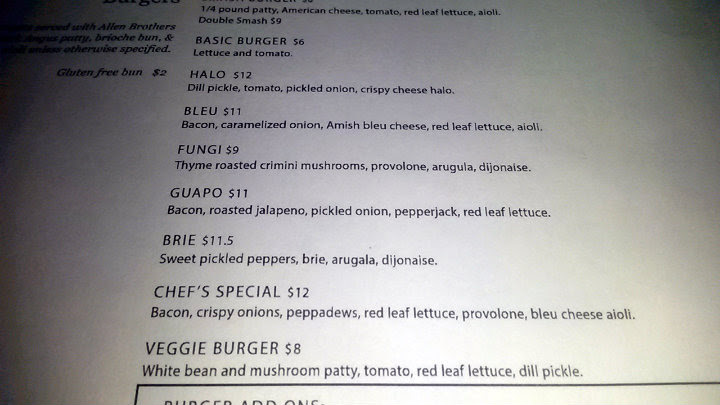 The menu has sausages, burgers, salads, and other plates. Yup, even smothered tater tots and smothered fries. 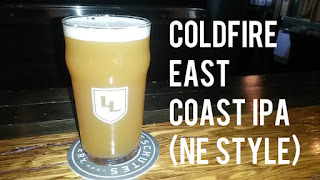 Always seemingly in the mood for New England-style IPAs these days, I tried the Coldfire East Coast IPA ($6 for a pint). Typical New England-style, cloudy, light orange color. Lots of juicy tropical flavors. Bitterness is kept to a minimum. I could drink that beer all day. 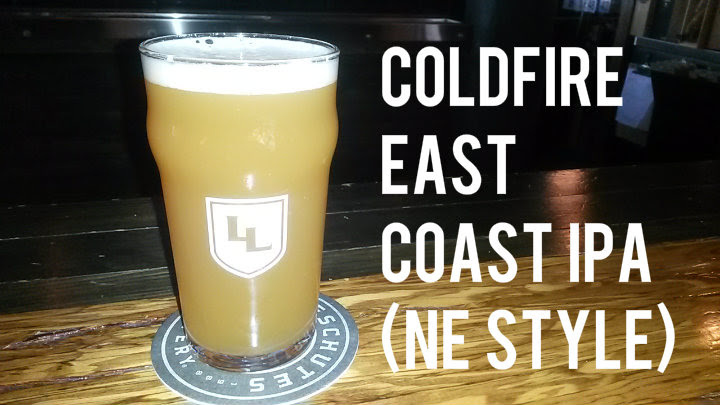 Coldfire is based in Eugene, Oregon. 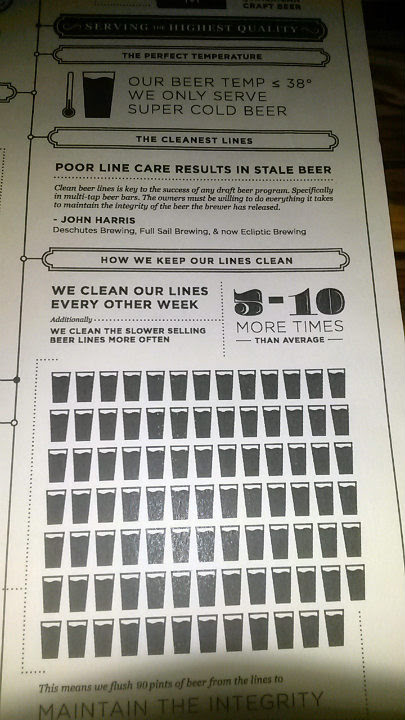 Apparently, scanning their Facebook page, they have done at least a couple of "Vermont-style" beers. 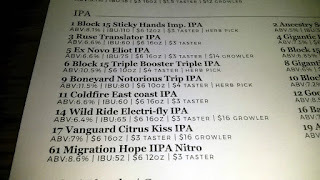 They had Cumulus Tropicalis on tap in late April. 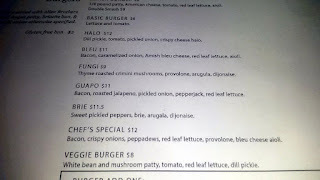 I was in the mood for a burger, so I tried their Fungi Burger ($9). It starts with a 1/3 lb juicy Allen Brothers angus beef cooked medium to med-rare. 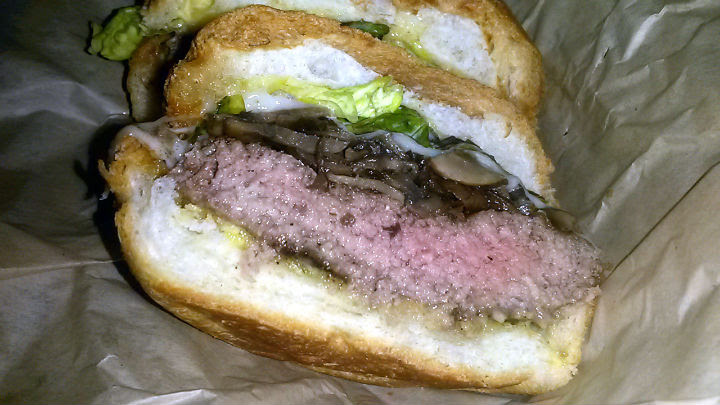 Add thyme-roasted crimini mushrooms, provolone, arugula, and dijonnaise on a soft brioche bun. 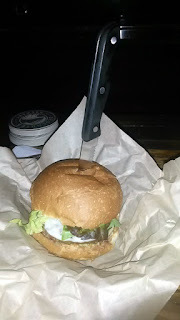 The bun, while soft, held the contents very well. 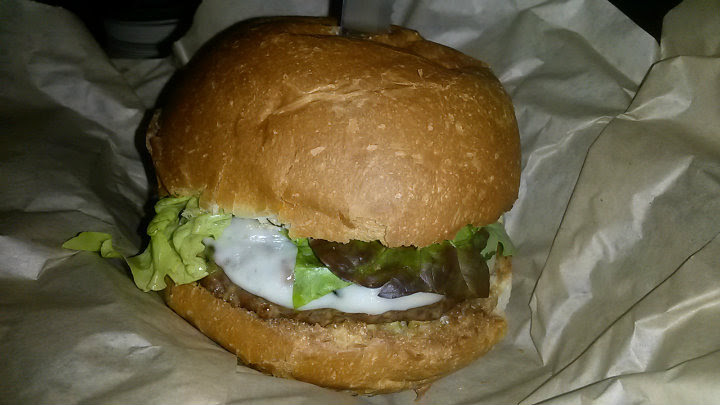 Meat-to-bun ratio was on point, meaning more meat than bun. Yup, this was just for the burger, but it was a delicious one. It comes to you with a steak knife in case you wanted to cut the burger in half for the lovely cross-section. Speaking of the cross-section, that alone looked glorious. Maybe coulda used a bit more mushrooms for mine, but otherwise awesome. 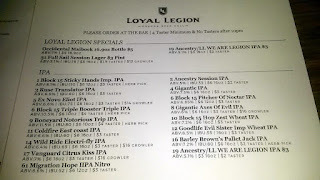 Loyal Legion is a great spot to watch sports. 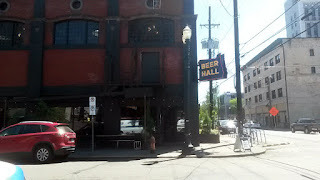 A few flatscreen TVs in the building, and lots of street parking.